Premade PP boxes in various shapes for packing cotton swabs. Made from random Polypropylene with high transparency . They can be colored as light pink or light blue according to customer’s wishes. The boxes have low thickness but reinforcements on critical sections keep them stable. They are made to dimensions that meet industry standards. 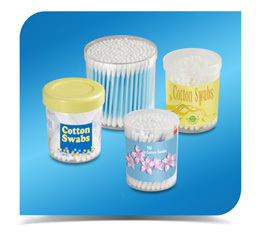 They have small ventilation holes in areas that prevent product contamination. They are stacked one inside the other and can be used in full automatic machines. Packed in carton boxes . 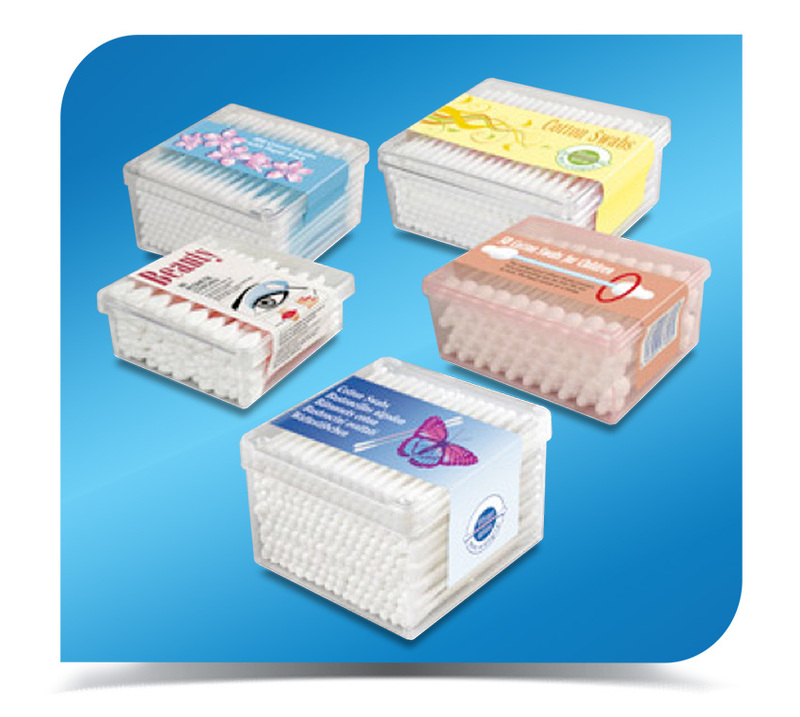 Rectangular box with lid suitable for packing 200 standard shape cotton swabs or 50 baby(safety) type cotton swabs. Cylindrical boxes are also suitable for packing various number of safety or cosmetic use cotton swabs.